Phew! Your kids have already completed their exams and the school term has come to an end! 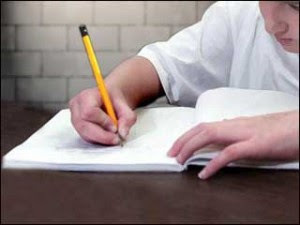 As parents, do you feel that sometimes you are more anxious and worried about the final exams than your children? Many of us feel forced to give our kids extra help in the form of tutors to keep ahead of their other classmates or simply because all our colleagues and friends are doing it too! Amidst all the rush to secure the most qualified tutors, theAsianparent talks to a working mother who does not believe that tuition is necessary for her children! Not only are Mrs Choo’s 5 children studying in top local universities, junior colleges and secondary schools, they have always done well academically. She shares with us some of her tips and secrets to her kids’ academic success. 1. Determine if your kids really need tuition, but know when to stop! There are 2 main reasons why kids may require tuition. The first is known as ‘Foundation Tutoring’, where children are unable to keep up in class. Furthermore, falling behind in class may result in them losing interest in the subject altogether! In this case, tuition is necessary to help your child get back on track. So, find a qualified tutor who will be able to inspire your child to learn to love the subject. Most importantly, the end goal of tuition is to make sure that your child does not need tuition in the future! The second reason is that your child may not be fulfilling their potential and may need extra coaching a few months before a major exam. The goal of the tutor here will be to help your child consolidate their knowledge and answer any questions they may come across when doing practice papers. How can learning be fun, you ask? Well, the key here is to improvise and use whatever you can find to make new learning tools for your kids. For example, Mrs Choo made simple flashcards to teach Mandarin words to her children, printed out handy timetable charts for memory on the go, used jigsaw puzzles as a tool to learn spelling and colourful ice-cream sticks to help her younger kids visualize Math problems. The list goes on, so be creative! This is Mrs Choo’s sneaky way of getting her youngest child interested in Science without her even knowing it! Mrs Choo subscribed to channels such as National Geographic and magazines like Horrible Science, which is a science magazine full of fun facts and experiments kids can try at home. (Definitely not as “Horrible” as its name suggests!) So by the time her daughter was introduced to Science at Primary Three, she had already cultivated a liking for the subject. She also subscribes to Reader’s Digest and Time for her older children. We know you’ve heard this one before. But the truth is that it works! Besides exposing your kids to reading at a young age, the library can also be a place where you discover your children’s other interests. Perhaps your daughter tends to borrow books on Arts and Crafts or your son somehow seems to gravitate towards the Cooking section? Your child may have interests they’re not telling anyone about, so observing the types of books that attract them may give you a clue! Discuss this with your children and agree upon a fixed study time, say from 7 to 8.30pm every school day. During this time, all distractions like their gaming consoles and mobile phones should be put away. Mrs Choo saw that the fixed timing idea works well on her younger kids as it provides them with a daily structure, making them more likely to focus as they know they can take a break after study time is over. Probably a month or so before an exam, Mrs Choo sits down with her kids to list out the topics tested in the exam, fit the exam dates onto their calendar and draw up a revision schedule. Another important thing is to set goals for the coming exam. Now, remember to be realistic here! Look at your child’s current grades and encourage him to aim to improve by one grade. “If you do well in the exam, Mummy will buy you that new toy you wanted.” Sound familiar? Many of us know that threats only serve to stress kids out so we resort to promises of rewards in order to “motivate” our children before an exam. But did you know that this is doesn’t work well too? We’ve heard stories of kids not being able to focus in the exam because their parents promised them a holiday to Switzerland and they were too worried that they would not do well enough to go! With five children to raise, Mrs Choo knew that she could not afford tuition for all her kids. So she got her older children who were able to handle their work independently, to teach their younger siblings. This reinforced their knowledge and her younger kids found learning more enjoyable. But only do this if your older children are done with their own work, you wouldn’t want to cause them unnecessary stress! 9. Stay away from ‘kiasu’ parents! Okay, we’ve all been guilty of comparing our kids to our relatives’ and colleagues’ children. Whose child goes to better schools, has better grades and has the most expensive tuition fees… there’s just no end to it! Instead of getting stressed up by these ‘kiasu’ parents, talk to your child’s teacher or someone whom you feel has been coaching his or her kids well. Learning opportunities are everywhere so don’t just restrict your kids to their study room at home! Check out our list of educational places in Singapore you can bring your kids to have some fun!